While designing 27 holes of championship golf, three prestigious golf course architects took advantage of the amazing natural surroundings. 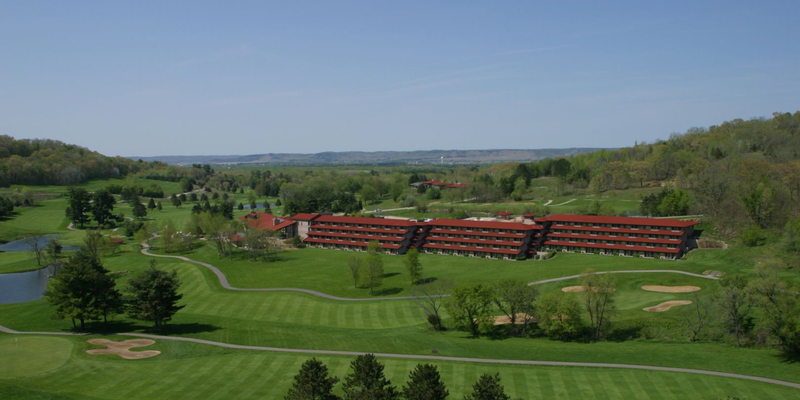 Working with terrain's rolling hills and tremendous greenery, these legendary designers created the finest golf the area has to offer - and it is located at The House on the Rock Resort in Spring Green, Wisconsin. The 18 hole Springs Course was designed by world renowned golf course architect Robert Trent Jones, Sr. and is rated 4 1/2 stars by Golf Digest. 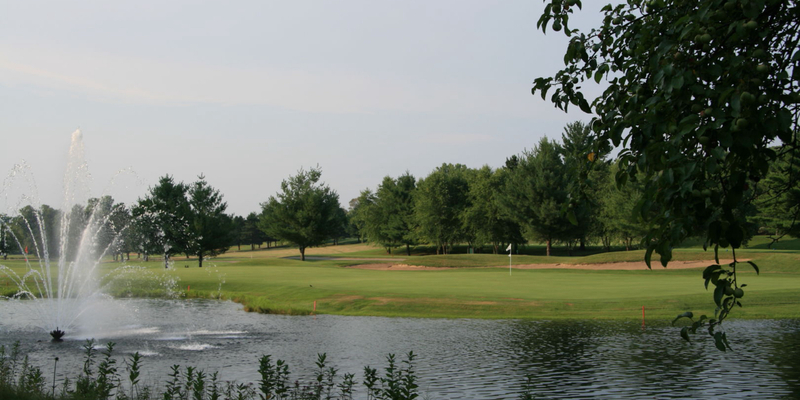 The course winds along the valley floor, has generous landing areas and water hazards on nearly every hole. 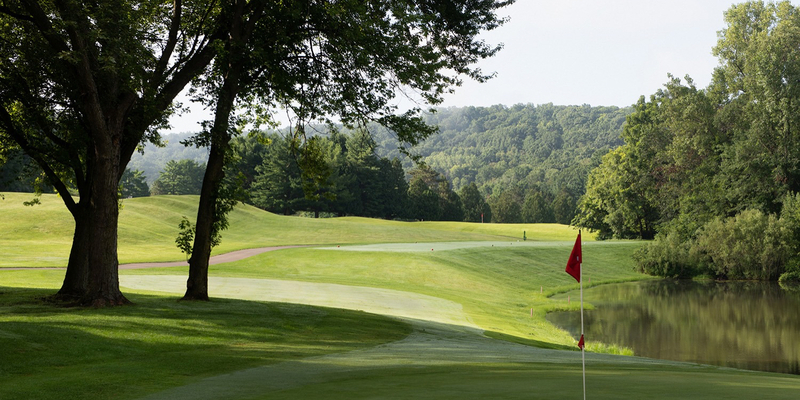 Equally as challenging and visually breath-taking is the North Nine, designed by Roger Packard and Two-Time U.S. Open Champion Andy North. 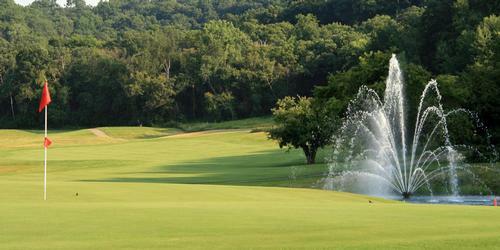 The course, also rated 4 1/2 stars by Golf Digest, offers dramatic changes in elevation and subtly sloped greens. Located 1/2 mile south of Tower Hill State Park on County Trunk C, and 3/4 mile east of Hwy. 23 on County Trunk C. Approximately 1/2 mile east of the Frank Lloyd Wright Visitor's Center. Daily Fee: Up to 14 days in advance. Resort Guests: At time of reservation. 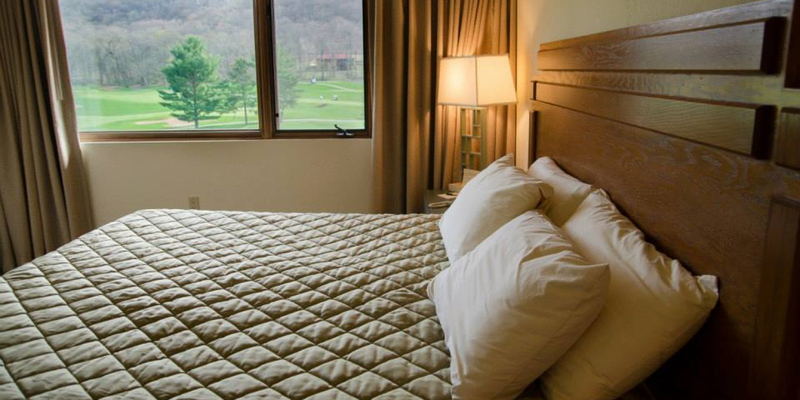 The House on the Rock is the ideal place to hold your next golf outing. 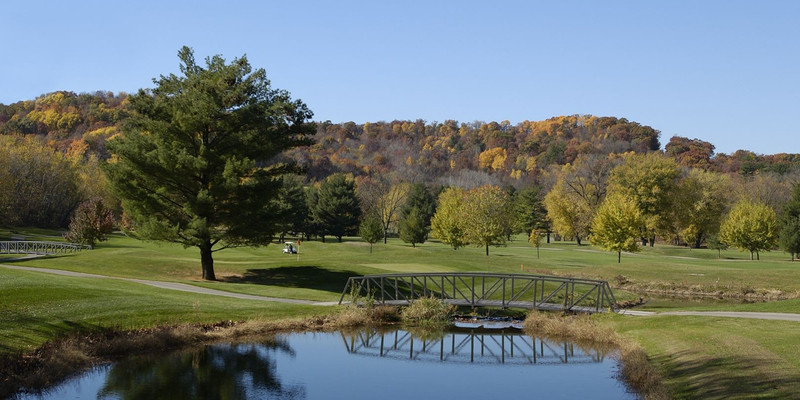 We've combined championship golf with a variety of pricing packages that will make your outing a memorable one. Your wedding requires a setting you and your guests will never forget. With its natural beautiful surroundings and outstanding wedding staff, the House on the Rock and Wintergreen Lodge can deliver a truly unique experience. Our facilities can provide the perfect background for your wedding day. Let us help plan your wedding reception in a setting as memorable as your special day! Our staff is experienced at making the occasion memorable. To insure your event will be a memorable one, our staff will prepare and elegantly present delicious cuisine. We will provide our complimentary Bride and Groom suite as well as a private gift-opening room. All the details and the quality of our service are designed with your special needs and tastes in mind. A scenic backdrop adds so much to your wedding memories. The natural beauty of the House on the Rock Resort facilities can provide the perfect background for your special day. Contact House on the Rock Resort at 608-588-7000. Contact House on the Rock Resort at 608-588-7000 for onsite or nearby dining options. This profile was last updated on 03/06/2019 and has been viewed 55,459 times.